Check the access from here. Monday Morning from 11am to 12noon. Monday Evening from 7:30pm to8:30pm. For registration or inquire send message from here. Spend A day out of time together. July 25th is " The day out of time" in Mayan calendar. Spend your own body time without clock and but Nia, Acro Yoga, Āyurveda food. For more Info please contact the studio. Visitor :500yen for a day use. The Nia 5 stages held in Japanese Language. The Nia 5 Stages is a system based on the five stages of human development: Embryonic, Creeping, Crawling, Standing and Walking. Practiced with conscious awareness in our adult bodies, these stages have the power to facilitate optimal alignment, improved function and comfort in the body. The Nia 5 Stages can be integrated into regular Nia classes or used as a focus for an entire class or workshop. Whether practiced at length or for as little as five minutes a day, this system provides a tool for reclaiming and sustaining mobility, flexibility, strength, agility and stability. After the 5 stages you will join the regular Nia class. Bring water and wear loose and comfortable. this time the lab held in Japanese language. 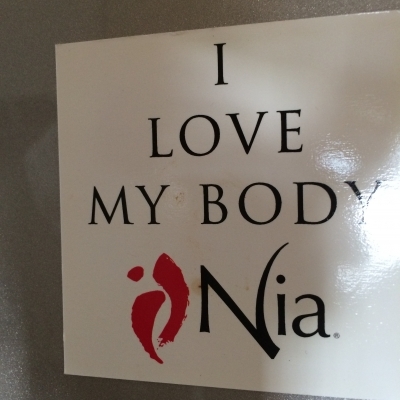 For more infomation about Nia. Jan/12 2 hours special class! 5 stage Labo and Nia class starts at 10am.